After three years of tournaments, unbelievable moments and matches, and more than $6,000,000 awarded, the HCS Finals 2018 at DreamHack Atlanta will be the final, official Halo 5 esports tournament for the Halo Championship Series – though competitive Halo will continue on in brand new ways (more on that below). We’re so thankful to all the amazing players, teams, and fans that have invested so much in supporting Halo 5 competitions to help us continue the growth of Halo esports together. While we’ll all fondly reflect on so many incredible Halo 5 HCS memories, we’re also excited as we look forward to an even brighter future. Esports and supporting the competitive Halo community continues to be an important focus for the studio and there will still be events and activities for competitive players to participate in beyond Halo 5. With MCC receiving improvements and new features, and Halo Infinite in development, we are excited to seize an opportunity to lay the foundation for the entire competitive scene to build up from there and support the community as it grows. From official grassroots programming and events, to the ongoing Microsoft Store tournaments, we will continue to explore new opportunities and initiatives for the coming year. As competitive Halo morphs and evolves, we’re mindful of our guidelines and our priorities for the pillars we want to be reflected in the Halo Championship Series. We want to continue to be open to and accessible for all players, we want to continue to communicate openly about our plans for the future of Halo esports, and we want Halo esports to be successful for those that invest in it. Later this year, we are kicking off a program to support grassroots tournaments and content creators across all Halo titles, and will have full details to share at DreamHack Atlanta. We believe that Halo esports is only as successful as the community and foundation it’s built upon, and investing in grassroots is an important part of setting that foundation for the future. Stay tuned - we’re excited to share more information next month including how you can get involved to play, watch, and apply. With the recent updates and improvements to MCC, and even more feature work underway, there’s a renewed sense of excitement and reinvigoration for these games – particularly with Halo 3. We’re excited to support this with the 2v2 Showdown at DreamHack Atlanta and would like to continue to deliver similar experiences in the future. The scope and specifics of potential MCC competitive offerings will be largely dependent on how well the 2v2 Showdown performs in terms of participation and viewership. We’re eager to kick this off and will be keeping a close eye on the community response as we continue to evaluate plans and opportunities for MCC moving forward. As we look further ahead, we know there’s a lot of anticipation surrounding Halo Infinite. We’re not ready to pull the curtain back just yet, but the Halo esports team has been working closely with the development team to represent the wants and needs of the ever-evolving esports community in terms of gameplay, features, viewership, and more. 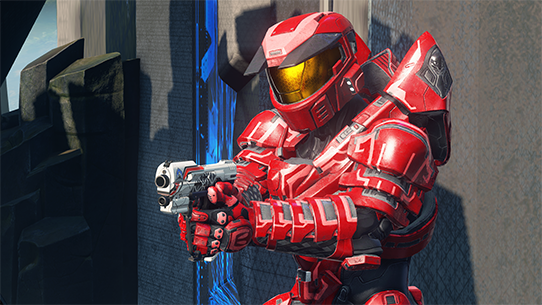 Halo 5, both as a game and esport, has evolved a great deal over the years with new maps and gametypes, spectator and observer modes, local server, and more – and we’ve learned a tremendous amount along the way. We’re excited to carry our learnings (and industry learnings) forward in Halo Infinite in a more integrated way than ever before here at 343. In the future, you will be able to join early flighting programs that will let members of the community play the game with us, and give direct feedback, much like the current Insider flighting program for Halo: The Master Chief Collection. It will take some time for us to be ready to kick those flighting events off, but when they do they will start small and grow along the way. We can’t overstate how important the flighting process will be to the development of Halo Infinite, and the team is excited to share the journey with the entire Halo community, including competitive players. We look forward to sharing more details as soon as the team is ready. On behalf of the HCS team and the entire 343 studio, we want to thank everyone who has supported Halo 5 esports over the past three years and we look forward to continuing this journey together to grow Halo esports for years to come. With some intense competition and rivalries heating up and the Halo 3 2v2 Showdown looming, Dreamhack Atlanta promises to be an awesome finale. Join us at DreamHack Atlanta to celebrate Halo 5 esports with player-voted awards, flashbacks to the greatest memories from the past three years, and more. What are your favorite Halo 5 esports memories? Have any photos or clips? Tweet @HCS to share them with us! 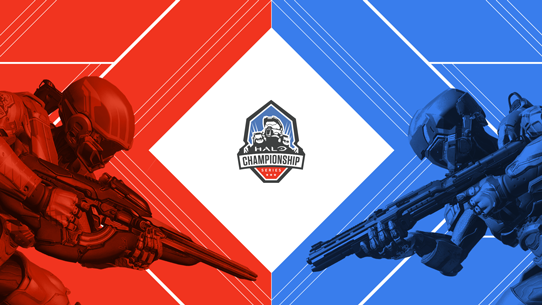 Thank you, and we’ll see you when the HCS Finals kick off on Friday, November 16.